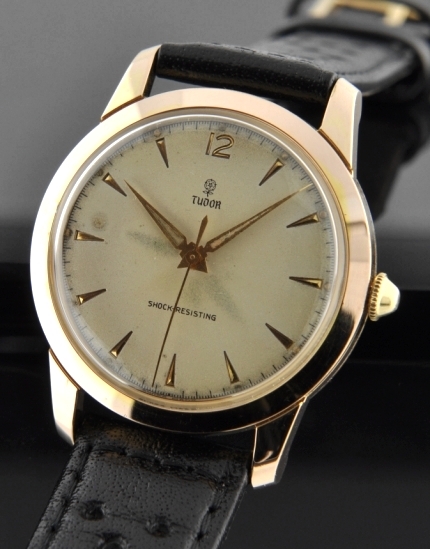 This circa 1963 vintage Tudor dress watch is a very uncommon find, measuring a full sized 34mm. 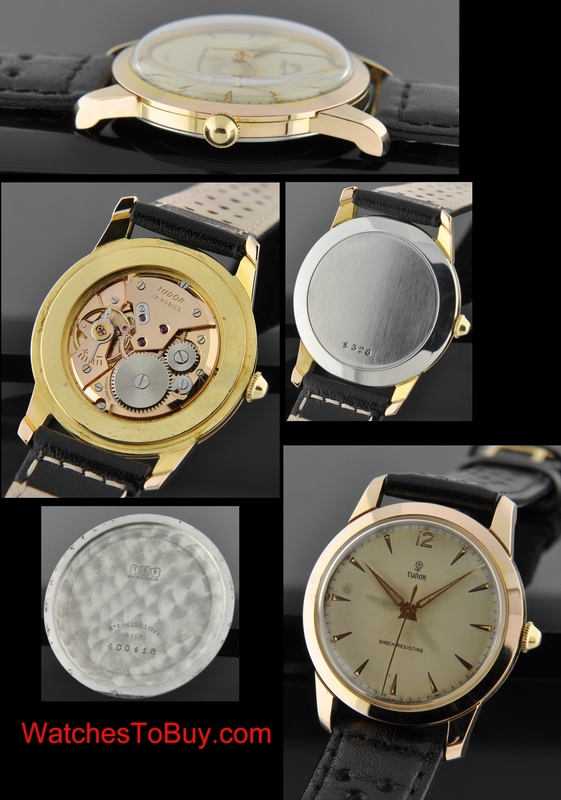 in gleaming rose gold toned gold filled case with steel back and original reflective numeral, arrow marker dial and original Dauphine hands with sweep seconds. The original dimple crown is still present. This watch features a wide and shimmering bezel, extended lugs-all VERY clean. The original dial has some “ghosting” marks where the hands stayed in position for a many years while the watch laid still in a drawer. In person, this dial really does look good and the ghosting is really not as visible as in my close-up photos. The manual winding TUDOR movement was just cleaned and is accurate. Priced very well at only $795.